Pamper gift ideas for her - create a spa feel at home, a girls pampering night in or send a special present to pamper your Mum, a gift for your girlfriend or a present for your partner on her birthday, a treat for your grandmother or girlfriend as a 'just because' pamper gift. 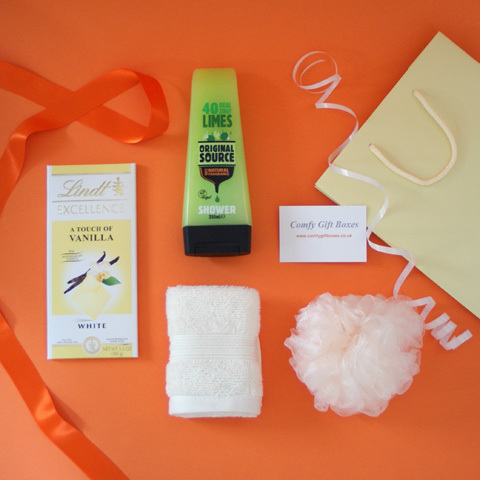 From chocolate and candles to foaming bath essence, body scrub and luxury body lotion - we are sure we have a gift you'd like to send - or receive! The perfect pampering present for a friend or girlfriend who deserves a pamper, gift wrapped, hand tied with luxury ribbon then boxed with a gift card personalised with your own message. 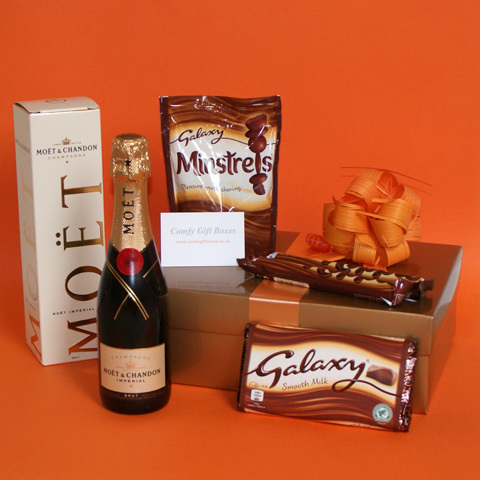 Below we have displayed all our Pampering Presents, we have divided them into night in pamper hampers for her, for those who like a chocolate treat we have chocolate pampering hampers and not forgetting the boys, gift ideas for men, all these gifts also make great get well soon presents as well. Presented in a large white gift box with magnetic lid, turquoise ribbon and a silver bow. Spoil the lady in your life or pamper a female friend with a relaxing home spa bubble bath. 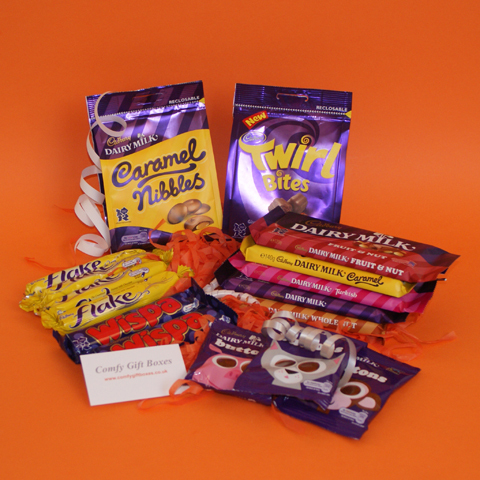 Presented in a cream gift box with magnetic lid, orange ribbon and a matching orange bow. 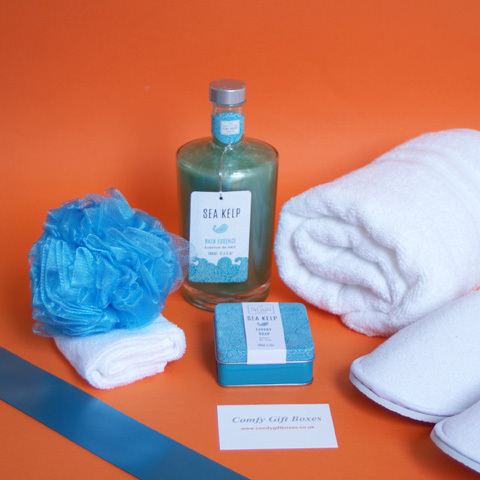 Treat her to a spa night at home, all she needs for an evening of relaxing self pampering. Presented in a large pink gift box with magnetic lid, bright pink ribbon ribbon and a matching pink bow. 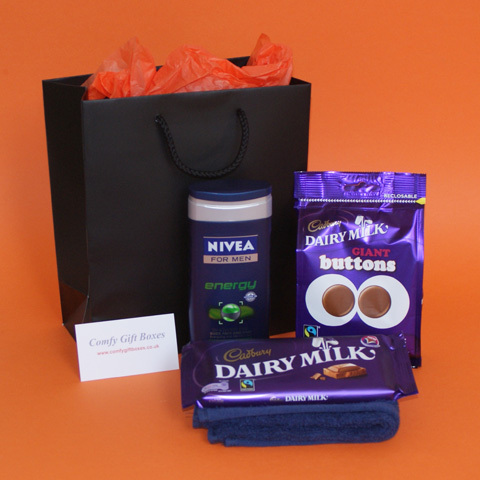 Brighten up their early morning shower and kick start the day with this colourful shower time gift. 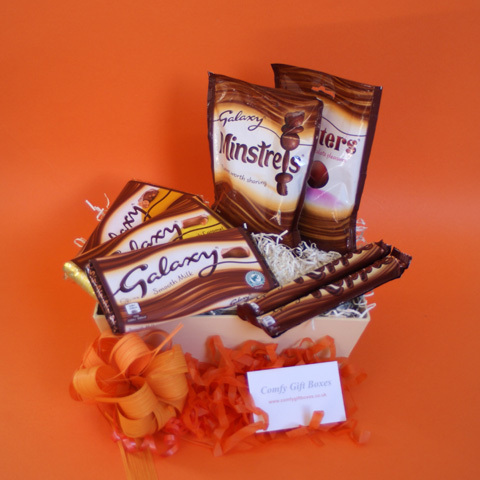 Presented in a mango gift hamper tray, wrapped with ivory ribbon, finished with a hand tied satin bow. 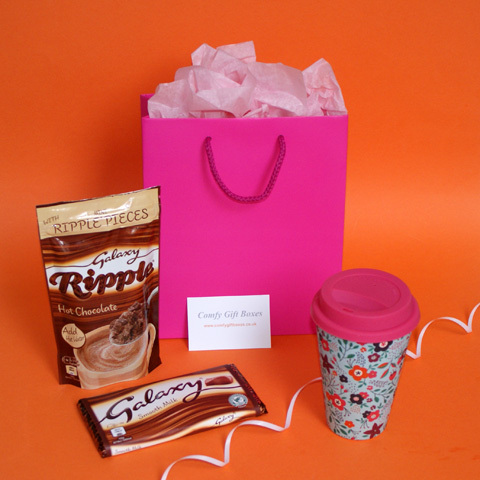 Gift hamper ideas for teenage girls, feel refreshed with this mango and papaya themed present. Presented in an ivory gift box with magnetic lid, yellow ribbon with a matching yellow bow. 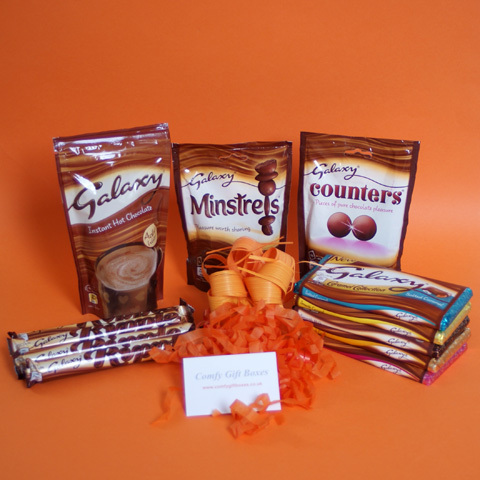 Receiving this bright little honeycombe pamper gift is sure to raise a smile. Presented in an olive green gift hamper tray, wrapped with ivory ribbon finished with a hand tied satin bow. 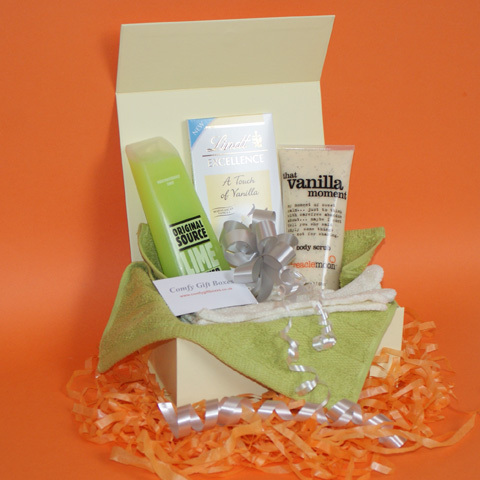 Treat her to a luxurious body pamper by choosing to send this Verbena gift hamper. Presented in a pink gift hamper tray, wrapped with pink ribbon finished with a hand tied satin bow. 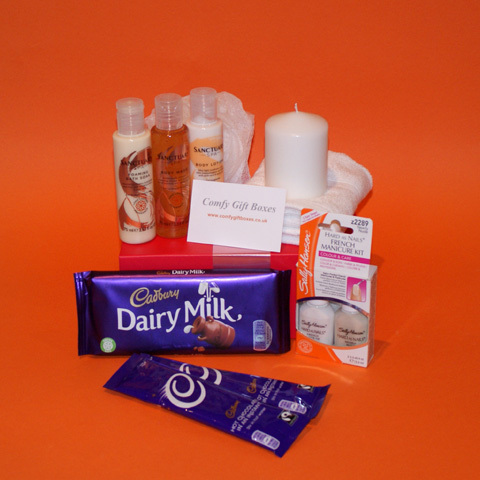 A fun pamper gift for young teenage girls. Who doesn't love strawberries and cream? Presented in a silver gift box with lid, raspberry ribbon with a matching spotted bow. Wish her a Happy Birthday or just send some pampering with this pretty little raspberry gift. 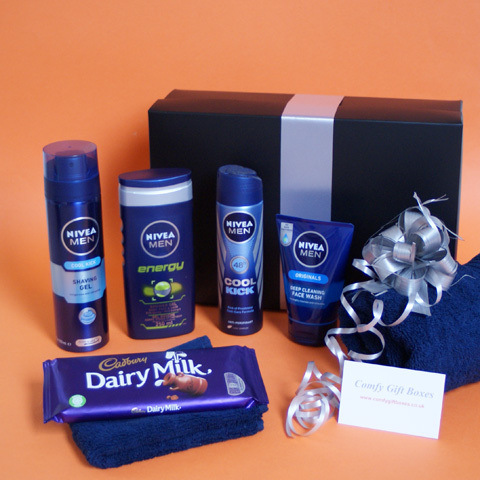 Relax and pamper at home with this soothing body pampering gift box. Presented in a white gift box with magnetic lid, light green ribbon and silver bow. 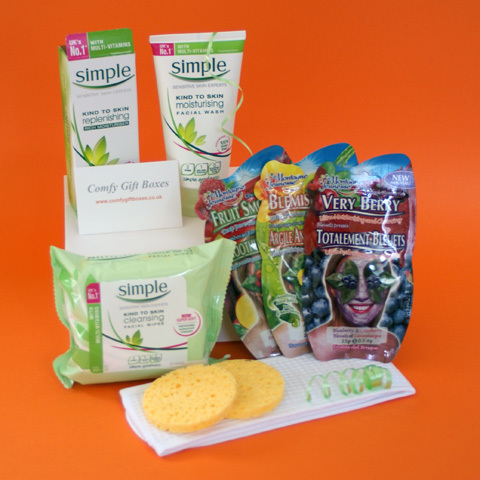 Help make her skin feel nourished and healthly with this facial pampering gift box. Gift ideas for teenage girls - young teens (and grown up girls!) will love this pink and gold gift. Presented in an ivory gift box with magnetic lid, green ribbon and a silver bow. Presented in a silver gift box with magnetic lid, blue ribbon and a silver bow. 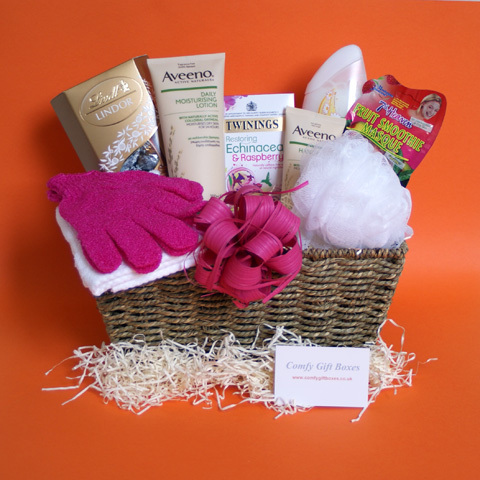 Presented in a seagrass basket, wrapped in cellophane with bright pink ribbon and matching bow. 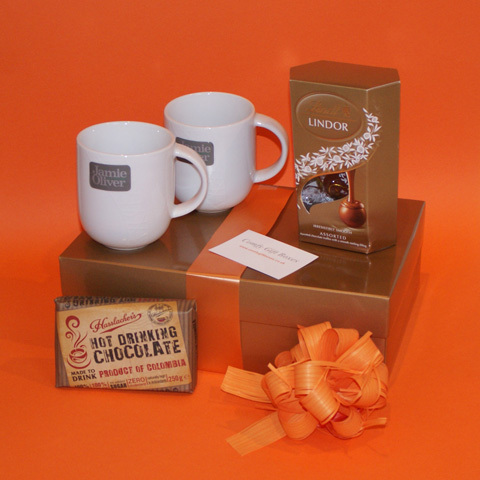 Presented in gold gift box with magnetic lid, orange ribbon and a matching orange bow. 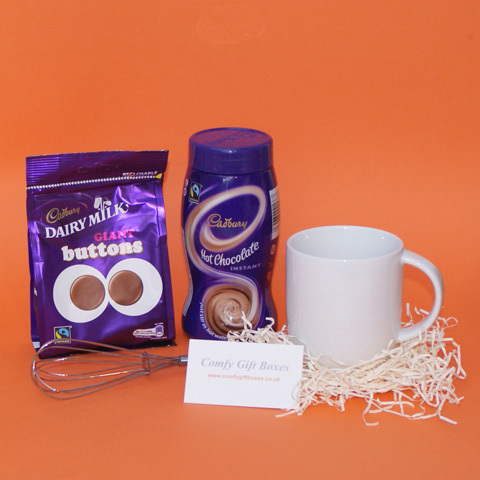 Presented in a white wicker basket, wrapped in cellophane with ribbon and a matching bow. Presented in a large silver gift box with matching lid, pink ribbon and a pink bow. 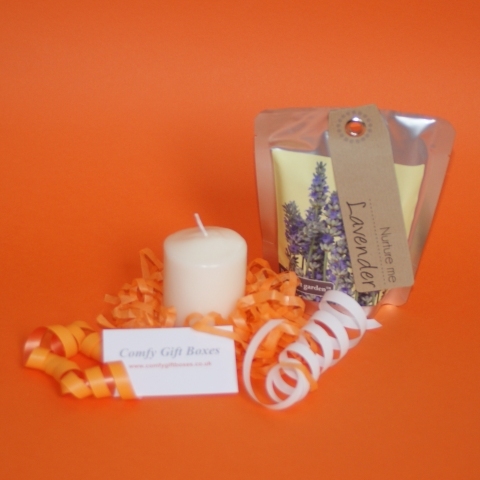 Presented in a cream gift box with magnetic lid, orange ribbon and a hand tied, cream double bow. Presented in a silver gift box with matching lid, wrapped with purple ribbon, finished with a silver bow. 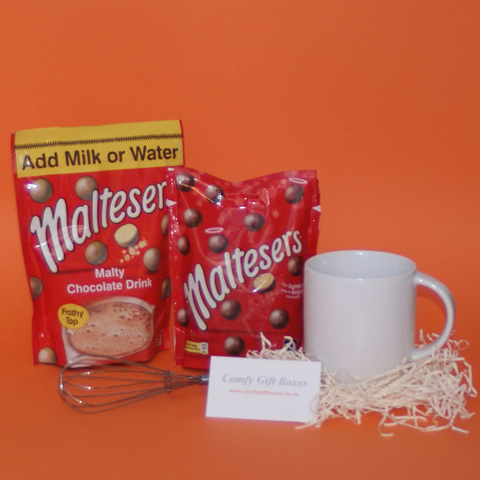 Presented in a wicker gift basket with handle, wrapped in cellophane with ribbon and a bow. 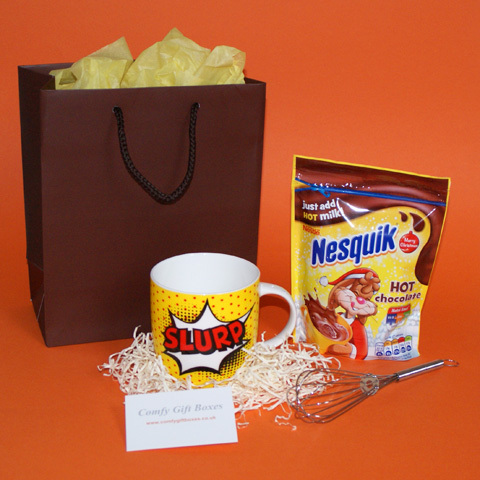 Presented in a chocolate brown gift bag with matching rope handles and yellow tissue paper. 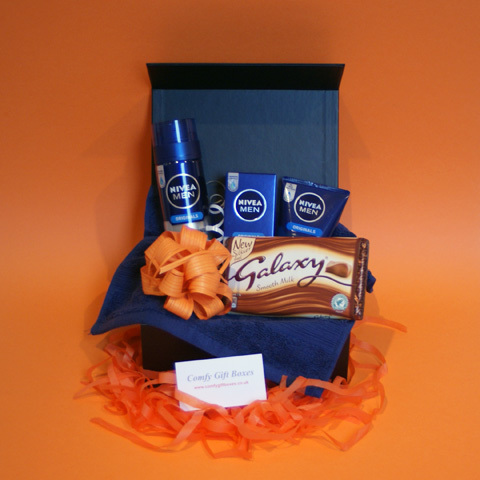 Presented in a large silver gift box with matching lid, orange ribbon and an orange bow. 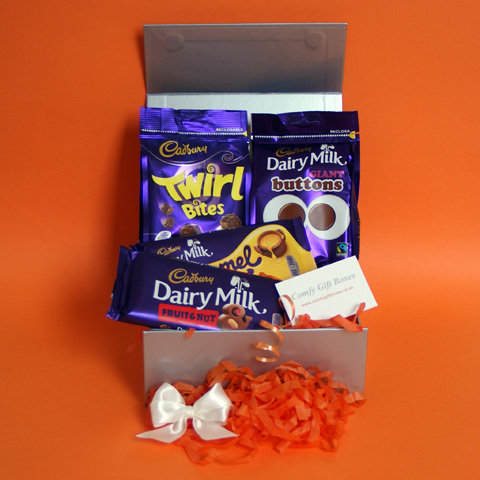 Presented in a small silver gift box with magnetic lid, orange ribbon and a hand tied double bow. 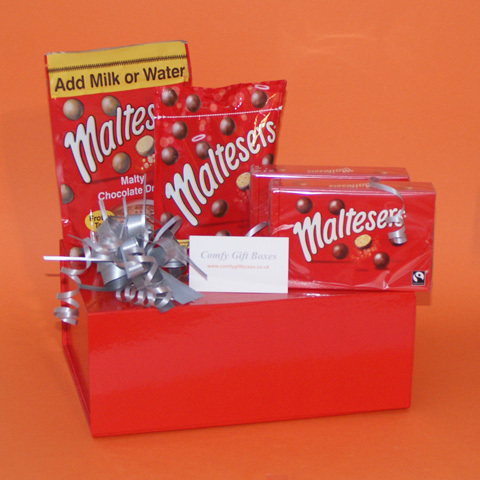 Presented in a small bright red gift box with matching red lining, magnetic lid and red ribbon. 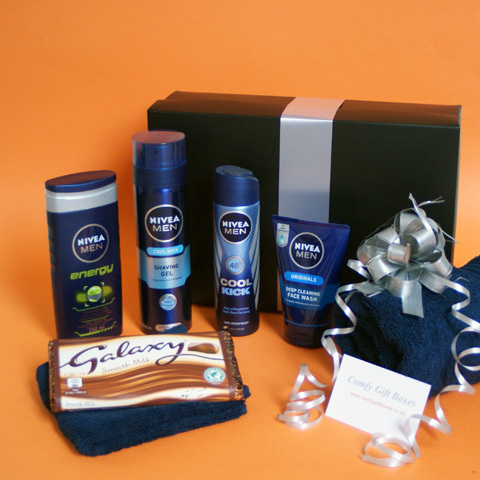 Presented in a black gift box with a lid, orange ribbon and a black spotted bow. 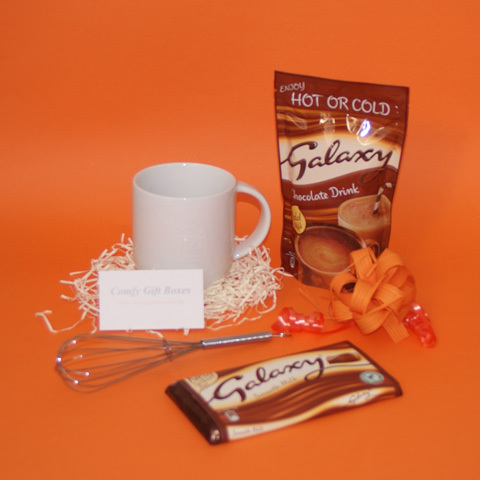 Presented in a black gift box with a lid, orange ribbon and a matching orange bow. Presented in a black gift box with magnetic lid wrapped with green ribbon. 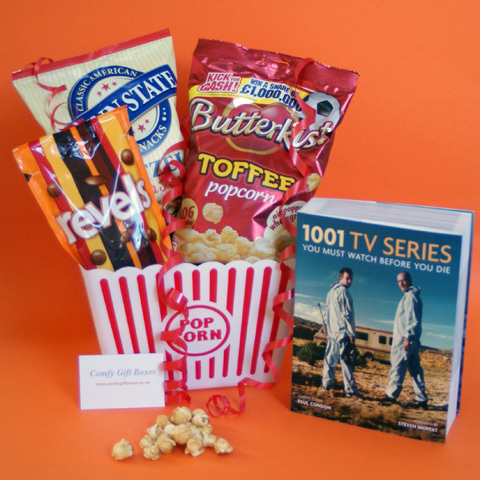 Presented in a large plastic popcorn tub wrapped in cellophane and tied with bright red ribbon. Presented in a black gift bag with matching rope handles. 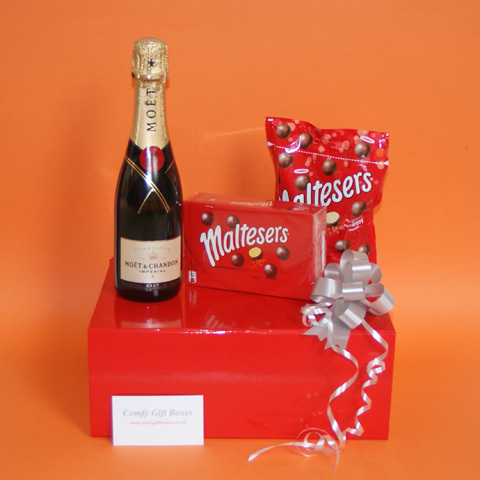 Presented in gloss red gift box with magnetic lid and red ribbon. 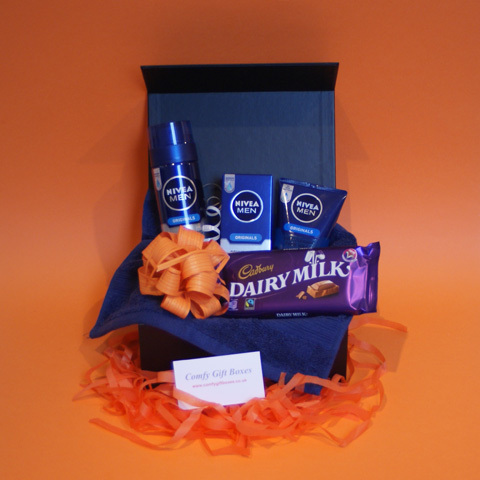 Presented in a black gift box with magnetic lid, royal blue ribbon and a black spotted bow. Presented in a black gift box with magnetic lid, silver ribbon and a black spotted bow. 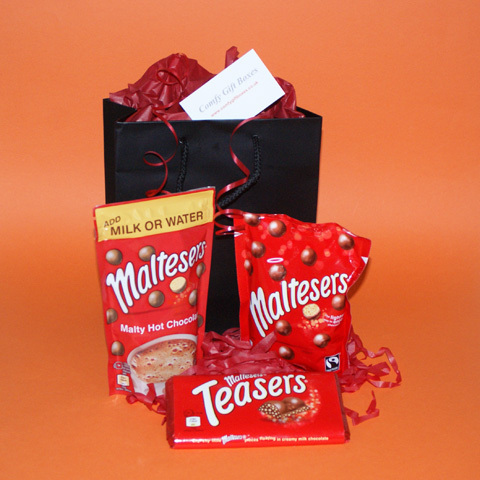 Presented in a black gift box with lid, silver ribbon and a matching silver bow. 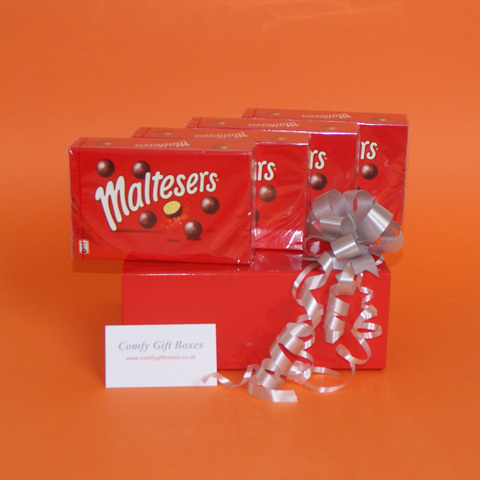 Presented in a black gift box with magnetic closure, silver ribbon and a silver bow. Presented in a black, zipped wash bag. An awesome little thank you gift for girls. 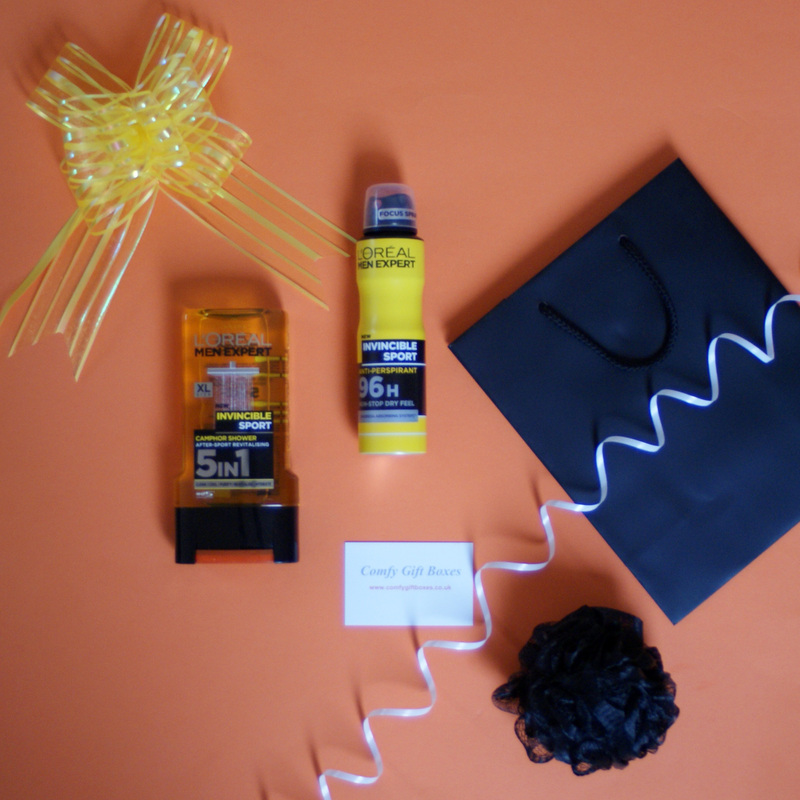 Presented in a black gift bag with matching rope handles and yellow tissue paper. 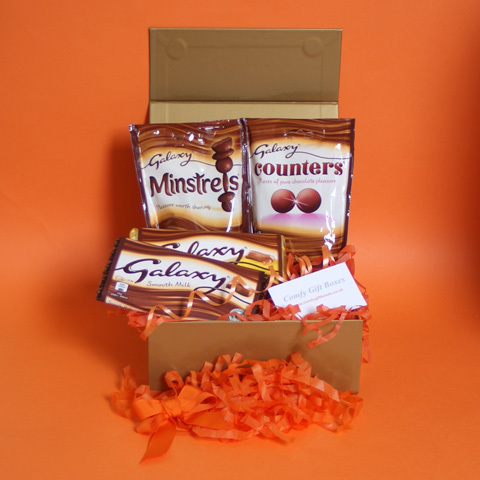 A sporty little treat to spoil him. Presented in a black gift bag with matching rope handles and red tissue paper. Presented in an ivory gift bag with matching rope handles and ivory tissue paper. 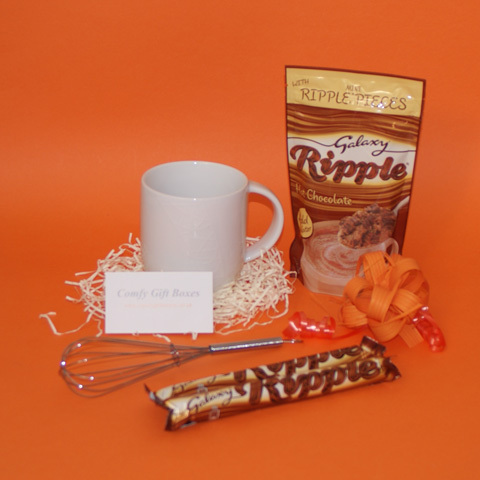 Presented in a cocoa gift bag with matching rope handles and orange tissue paper. 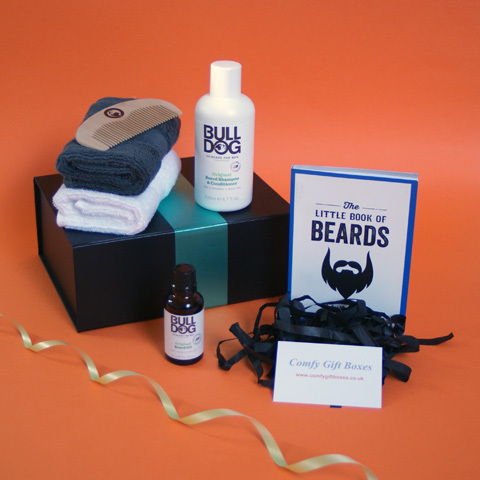 Presented in a cocoa gift bag with matching rope handles and blue tissue paper. 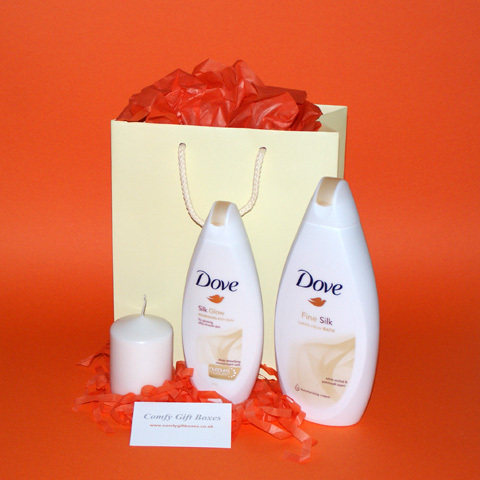 Presented in an ivory gift bag with matching rope handles and orange tissue paper. 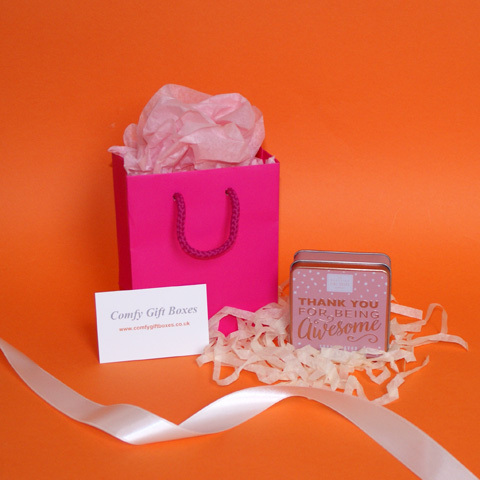 Presented in a silver gift box with magnetic lid, pink ribbon and a silver bow.